Thu still frequently dreamed of various foreign lands, places where life, in spite of being extremely civilized and tranquil, let her discover various new experiences in a state of perfect freedom. Within these dreams that exhibited many exciting and interesting events, she saw herself returning to a youthful girl eager to learn and never to be tied to the end of a rope connected to anything. Then Thu woke up. Dissapointed and dismal, she continuously tossed about sleeplessly until her weary husband woke up grumbling, “be still and let other''s sleep. It''s almost morning already ...”. 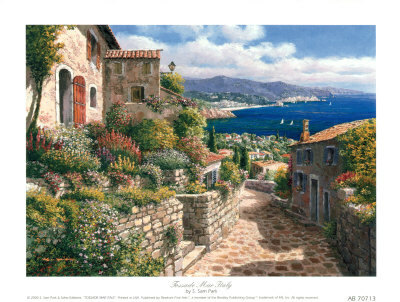 Morning arrived, with the street noise and the the confusion in Thu''s home. Her two and a half year old daughter automatically woke at six o''clock and sat up. Her mother had trained her to folllow the western pattern, don''t be slovenly, don''t cry. The child brushed her teeth, went to the bathroom by herself, then after her mother changed her clothes she sat correctly at the table prepared to eat breakfast. Thu often only rapidly drank a glass of milk, spending her time putting on her make-up while her husband and daughter ate breakfast. Thu arrived at her office exactly at eight o''clock, sat at her desk and began checking some email for the first time. She appeared quite professional in a woman''s suite, cutting very skillfully, stepping gracefully and actively with a manner of self confidence in all situations. Thu usually didn''t take a nap, and everyone saw her sitting in front of her computer avidly concentrating on doing something. She didn''t like to work overtime with the contention, “work smarter, not harder”. Even though she assumes the possition of Legal Advisor in a multinational company, she frequently left at exactly five-thirty in the afternoon, never minding several other managers that were still busy and wouldn''t turn off their machines until about seven o''clock in the evening. The employees under her authority liked to spread the rumor that Thu was very ambitious and would advance much further. The foreign boss was naturally difficult to understand and also twice divulged that, “Thu had a very bright future”. Everybody believed that Thu was the most likely candidate for several opportunities to advance soon. She thoroughly knew how to completely exceed expectations of various difficult trials. At night the dreams of various far away places had returned. Thu woke up, her husband still very wearily sleeping. She wished she could share with him the bewildered feelings carried in her dreams, but her husband looked very diplorable with his eyes tightly closed, taking long and rythmetric breaths through his nose, his full length motionless. He had stressfully worked from early morning until late at night, so when he lay down he didn''t want anyone disturbing him, talking about afew dreams. 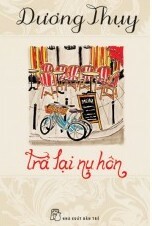 Thu was very surprised when she learned that he almost never dreamed. The day she decided to get married some friends expressssed pity for her. Some unaminously voiced, ”then it is also time to give up pleasure ----”. Thu smiled, trying to make a joke, “also resign myself to closing my eyes and spreading my legs” (This is a Vietnamese idiom that means someone is not sure about the future. She just closes her eyes and hopes for the action. Thu is joking to say “closing her eyes and opening wide her legs” because she will get married and must open her legs wide to her husband (to make love). She knew that she was able to surmount various drastic tests by winning over the highest ranking member of the entire company with a single sentence filled with enthusiasm, “I am not afraid to be put to the test”. However, she did not rise above the various social pressures and standards, so some people did not consider that her life was yet established. She didn''t dare surmount the area of ethics, and she had to “love, but remain a virgin, knowingly running with various young men who surpassed everybody”. She was not going to be a spinster when she was thirty, so she had to choose an above average husband for herself that followed the Vietnamese societal standards. She didn''t dare say “NO” when her husband''s family expected her to have a child immediately after the marriage, and at these times she didn''t dare display an annoyed attitude when her husband''s mother ''terrorized'' her every day that she must give birth to a son next year. The first day she arrived at Cambridge, Thu was eager to go for a sight seeing stroll in the center of town. Sunday evening was really tranquil. Several quiet schools were proudly stretching their lovely towers upwards. A group of young loyal students appeared wandering about some narrow streets, rushing to work. Thu hired a conoe meandering on the serene Cam River flowing past ancient colleges. The voice of the boatman said mildly behind her back, “here is Queen College, Sainte Catherine College, King''s College, Trinity College, Saint John''s College ----”. She silently contemplated nature entering spring, vegetation changing to green and overflowing with vitality, flowers brightly flourishing everywhere with ten thousand colors, the immense pure fresh chilly Cambridge sky becoming very poetic, beautiful and graceful with affable colors, but rare and luxuriously noble, with several schools that have existed for hundreds of years standing bulkily like some royal castles. 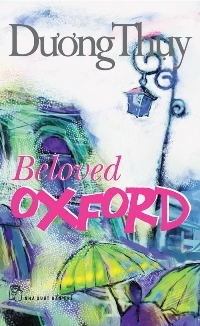 Although Thu had been to many European cities, Cambridge still touched her breathlessly. She saw herself so very lucky. All of Thu''s work was put aside so she could realize her dreams every night, which frequently really deservingly haunted her. She had searched the internet throughout the time that her co-workers were taking their noon naps, discovering every year there were these free courses. Then, convincing her boss to allow her to be absent from the company for three months was really stressful. Finally, her husband''s large revolting family gave Thu permission to allow her maternal grandmother to take care of her daughter and temporarily postpone the task of trying to have a son to carry on the family line of descent. “Is this the first time you have been to Cambridge?”, the canoe rower asked. “ Are you on vacation , or did you come here to study?”. Thu turned around again and looked, at which time she noticed that the person rowing the canoe appeared very young with quite a handsome student face. He smiled friendly at Thu and introduced himself as Tom. “The same as the cat, Tom, in ''Tom and Jerry'', right?” Thu smiled. “My daughter is very fond of the cat, Tom, saying that the mouse, Jerry, although intelligent, is cruel!”. “Why do you already have a child?”, Tom asked amazed. “ You appear very young!”. “Thank you”, Thu appeared really ardent. “Can you guess how old I am?”. “You resemble a student”, Tom said awkwardly. “I can''t guess at all. Asians often appear very young”. 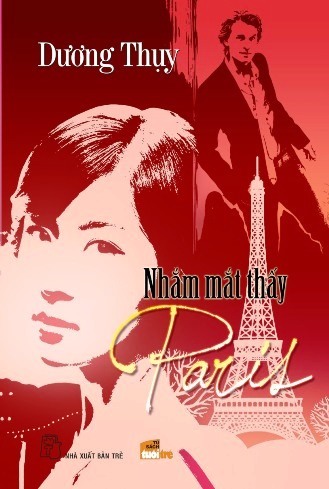 When Thu reached shore and said so long to Tom, she left him know that her name was “Anh Thu”. “In English that means a woman heroine. If you don''t remember my name, you can just call me Heroine”. Tom smiled, “ we will meet again, won''t we?”. Thu nodded her head, “I think so!”. She walked to her lodging. The lady owner, who was of Indian origin, was waiting for her to eat supper. The dreams of the girl again appeared at night when, for the first time, Thu benefited to the utmost from the life of freedom at Cambridge. She saw herself with a sweet home, a dedicated husband, and several cute lovely children. Those dreams of her''s had been realized for nearly three years now, but for a long time already she had not been conscious that she had the sweet, happy family for which she was waiting. Thu turned on the light and sat up looking out at the night sky. This hour her husband was certainly busy at his company. Some days at the beginning of the marriage Thu knew that she loved and respected him very much, even though there was reasonable interference. However, she didn''t doubt that the man was a strong, kind and loving husband, letting her lean on him when she again couldn''t bear the pressure from his family sneering that his respect for his exorbitant wife will ''spoil'' her, belittling his love as lacking sufficient strength to oppress her, condemning him as ungrateful towards his parents for not demanding that she had an obligation to give birth to a son. She was disparaged to hear of the various exaustive reasons for which he only knew the fallacies, “whether he aslo was a husband! whether her husband also had a mother, whether she still lived in Vietnam -----”. Her husband had run away and hidden several times when Thu recalled that before they were married he frequently promised that he would not let the meddling life of his family prevent the advancement of her career. He had given her confidence that he would support her if she wanted to continue to advance. “If society frequently creates opportunities for her husband to advance”, Thu said angrily, “there is no reason to let his wife suffer a loss on the road of her career”. Her husband darted to his business daily and evaded various needed discussions of ''truly equal authority'' for his wife, and Thu was discouraged to notice he also often avoided several minutes of ''pillow time''. They gradually became distant from each other. Every day Asuri, the owner of her lodging, made Thu and English breakfast comprised of fried sausage, eggs sunny side up, one slice of cold cuts, one tomato, a few fried mushrooms and one large spoon of bush beans. She tried to eat two more slices of baked bread and drink a glass of tea with milk, then leisurely walked from the home to the school. It took about twenty-five minutes to get there, passing some narrow streets, a few small pretty houses, a public park that was blooming with flowers entering the beginning of spring, and some schools several centuries old. Thu often experienced happiness while walking in this pleasant section, remembering even when she had to be under an unbrella due to the light spring rain. At noon she didn''t eat anything because Misses Asuri''s ''English Breakfast'' still filled her stomach. When night came Thu again ate with Misses Asuri, often a bowl of hot soup and several kinds of fish cooked with vegetable tubors. Asuri would tell a long story of some unjustices in Indian society that Thu condemned as regretably like the lowest rank of Vietnamese society. After eating Misses Assuri had to clean up and Thu leisurely went up to her room, turned on the television, and after watching several channels, opened a novel and read until she sank into an easy going sleep.This was really a beautiful period in her life: no work, no responsibility to her husband and child, and no pressure from her husband''s family. The course didn''t have any tests, sometimes the discussions were light, and the primary school teachers were enthusiastic about discussing civil law. Everywhere was friendly. One evening when Thu didn''t have a study hour, she hastened into the quiet corridor of the museum. Someone screamed loudly, “Heroin! Heroin”, which startled Thu. She left really rapidly in the direction of the main entrance, but the sound of feet chased noisly down the wooden stairs. Thu was frightened and ran, but not fast enough to escape a body that rapidly grabbed her shoulder. “Please, hi! It''s me! Why are you running so fiercely like this? Isn''t your name ''Heroin''?”, a young man said. (note that heroin, the narcotic and herione the hero – Thu''s name in English – are pronounced the same,.Thu, thought she heard narcotics, became afraid and ran). “You? Thu suddenly recognized the ''canoe rower'' on the Cam River that flowed past several ancient schools . Tom! You don''t work today!”. “Yes I do!”, Tom merrily said because she had recognized him. “I work here!”. “At the museum of life?”. Thu frowned. “Why aren''t you rowing your canoe carrying vacationers?”, Thu asked. “Ah!”, Tom smiled. “That is only my commercial business when I am seeking a bit more”. My primary work is lepidoptery (the study of butterflies). Thu was surprised when Tom pulled her hand to a counter side where some butterflies of many types were exhibited. He said nature had endowed this insect with a special favor. One must envy the species because of its richly effective butterfly wings. Tom boasted additionally, “I study the butterfly''s life!”. Thu continuously gaped for a moment before first uttering the words, “you are a ''Doctor of Lepidoptera'' at Cambridge College?”. Tom proudly nodded his head as Thu still hugged her stomach trying to restrain a charmless laugh (the Vietnamese word for butterfly is also a popular term for a woman''s vargina, so that is why Thu had to laugh). It was night and she excused herself to leave for home where, after a week in Cambridge, she went to bed early. Misses Asuri, seeing that Thu was all dressed in a splendid long skirt, uncomfortably asked who she was going with. Thu shook her head and did not reply, feigning secrecy. In her life she had never been close to a biologist who studied insects, one who spent his time and labor throughout his entire life passionately fond of various tiny animals. However, that night Tom did not remind her at all of various butterflies. He told her about a Duchman who had come to England on a scholarship from this government and had been here for one year already. Tom was cheerful and natural with various funny stories patterned after Mister Bean, which were partially tasteless jokes comparing a person who often was proud of himself in a strategic manner of thinking. However, she laughed in response, trying to make her rejuvinated self agree with the pleasant young man. They met for the third time at a student club. Tom took it upon himself to greet Thu by “hello darling” when he first met her, but she kept her composure, thinking there was nothing improper, for the ''Doctor of Lepidoptera'' had not yet called her ''my love''. Observing that it was late some nights when she opened the door to let Thu enter, Asuri frequently reminded her, “the next time remember to take the key, ok my love!”. Thu was extremely bewildered when she realized that in England people randomly called each other by various romantic terms, even though they did not love each other at all. After realizing that, she didn''t have any cause to be on guard against Tom, so she continued to feel at ease with him. But Thu knew the real reason why she continued to feel at ease. She liked the natural air of the young man, with a very young smile on a pair of graceful lips which made her pant. And Tom''s beaming mischievous eyes unceasingly haunted her. He enthusiastically took her sightseeing everywhere, through Oxford, visiting Stonehenge, and going to London for several days at the end of the week. Sometimes Tom invited Thu to his small apartment to cook several Dutch dishes, and she displayed her talents by treating him to several Vietnamese dishes. Thu enjoyed the various times being next to Tom who was filled with enthusiasm. Except for him, she did not become friends with any other schoolmates in her same profession that together pondered the strategy of civil law. She had escaped from Vietnam and in her daily affairs she was not going to meet some persons ''with their heads filled with experience'' like copies of herself. “Tom, try to be serious for one moment, ok!”, Thu asked. “Do you intend to follow all these colorful butterflies for your entire life? What will you live on later? Will you be a boatman seeking a little extra money, or a waiter in various bars? Won''t you ever have a wife or children?”. “Why should I blow off my life with a boring family and not endeaor to seek my dream of continuously learning, to persue those things of my passions in a leisurely life?”, Tom replied. “But --- for the first time I realize you, Tom, were never natural as I thought. I am also only trying to blow off my life for freedom during a period of time. Then I will return to my various obligations. In that manner it is safer, more solid. Should I live for my own private happiness, or for other people for whom I have feelings?”, Thu answered. Tom seriously asked, “if you only have responsibility, can you still have happiness? And if you are not happy, then what value is your safety and lasting durability?”. “Tom”, Thu hopelessly cried out. “ don''t be extreme! I also want to be leisurely like you, but”. “You aren''t even a tiny bit courageous, darling”, Tom said looking sadly at Thu, “so why is your name ''Heroine''? I like you better as ''Herion'', for you have the ability to make people addicted there!”. 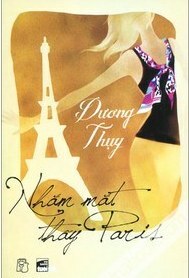 Thu vehemently said, “don''t Tom!”, but he had grasped Thu''s shoulder and gently placed a passionate kiss on her lips. Thu did not have sufficient courage as Tom just observed, so she was unable to push him away and was astonished to realize that Tom was a new''addiction'' that made her not capable of ceasing. Almost three months had passed, with them next to each other and with sufficient familiar times to allowTom to cross the boundary of usual friendship from early morning to the day''s end. He had tried to not make Thu, who wore a western wedding ring, disconcerted. She was still frequently grateful to him, but the story about to come must not arrive. Thu closed her eyes again, as she left behind all reason, strongly affected by emotion from Tom''s complete conquest. Misses Asuri watched Thu unable to swallow her English breakfast. She grumbled that it was too much food. Then she uncomfortably drank a glass of tea with milk which hadn''t had time to cool down. That caused her to let go of the cup, which shattered into loose bits on the floor. Thu silently grasped her mouth. Her lips were burning and her eyes were overflowing with tears. Misses Asuri still didn''t stop observing her. She quietly bent down to gather the various slivers of chinaware and said, “so fast. You just got here, but you must leave for Cambridge already”. Finally Asuri also voiced, “surely your heart is shattered like this cup, isn''t it?” Thu looked surprised at Misses Asuri the home owner, for she had never before talked in such an abstract manner that way. Thu corrected her, “I only broke a cup, that''s all!”. Asuri smiled, “your English is quite accurate! I still frequently admire you, darling!” Thu began to loose her composure. She directly asked, “ what do you mean?”. Asuri again smiled, a very meditating smile of a middle-aged Indian woman. She spoke slowly as though her English was not sufficiently fluent, “I admire a person who knows how to make her dreams become real like you, darling. And me, you see already. I work from early morning until very late at night in this guest house, cooking in the morning, tidying up the rooms, wiping the washroom and staying up late to open the door for the guests. My husband doesn''t lift his hands to do anything. You have been in England for several months, so have you seen some Central Asian women wearing black outer garments covering them from head to foot, some African women often bowing their heads as they follow behind their husband''s backs, various Chinese girls who are only allowed to marry within their own race? Even though we live in a free country that frequently advocates women''s rights we have not escaped the invisible yoke of various customs that bind women. Some women are maltreated, are violently abused, even murdered. The English laws protect us, but we are not strong enough to protect ourselves. We also have some dreams, but loose our hope in reality. Finally, we stop dreaming. Every night I sit up meditating for two hours to empty my mind, to stop dreaming, and to stop being tormented by my various dreams!”. Thu sat silent, carefully listening. Finally, Thu stood up preparing to go and study at the day''s end. Thu loved knowing about all of these things, the various narrow streets, the small charming homes, the public park filled with flowers, and the centuries old schools. She will remember Cambridge, remember the various canoes drifting on the Cam River, and remember the boy with the very young smile who dared to live a leisurely and carefree life. Tom took Thu to the Heathrow Airport. Holding her hand for the final time to say so long, he gave her a square box that contained some small charming butterflies docily lying down. “A present for your daughter, say it''s from your boyfriend, Tom!”. Tom mischievously smiled, “and try to give her a day when she will enter college in Cambridge!”. Before Thu had a chance to casually thank him, Tom very rapidly continued, “my mother was very pretty, intelligent and active. In previous days she aslo had many dreams ----. If I didnt have my mother I would not have been able to realize the complete feelings of my passions!”. Thu silently carefully listened as he continued to reveal, “the first day I saw you I realized you were really the same mother I had when I was young!”. Thu was silent. She let Tom bend down and give her a fast kiss on her mouth and whisper, “let your daughter have really many dreams, and also yourself, darling!”. Thu still frequently has some dreams, some evenings when she doesn''t sleep and wanders in life''s veil, some happy feelings next to her small charming daughter and her calm husband. She strolls together quite a bit with her entire family in order to benefit to the utmost during times of relaxation, escaping the various invisible tie downs to her courageous life. Sometimes she dreams of seeing a few many colored butterflies flickering over the Cam River, then lightly alighting on the beautiful proud towers of the centuries old schools. Somewhere tomorrow within the Cambridge early morning mist, an echo will again resound from someone calling, “Heroine”, really adoringly near -----.